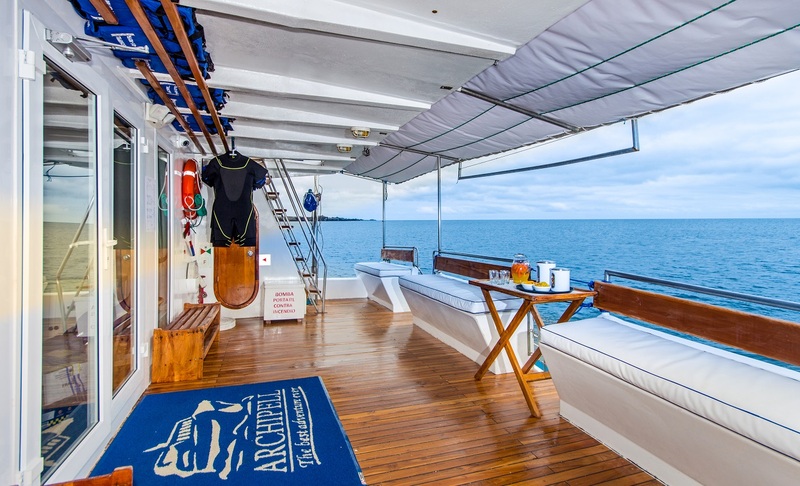 The Archipell I catamaran, accommodating 16 passengers, offers space and comfort making it an excellent option for discovering the Galapagos Islands. 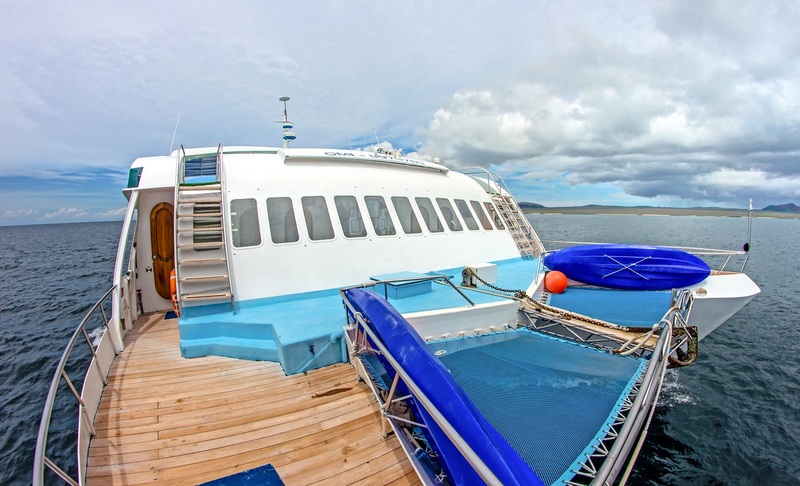 This 4 day cruise offers a great opportunity to enjoy and experience wildlife in the Central and Northern Islands of Galapagos. 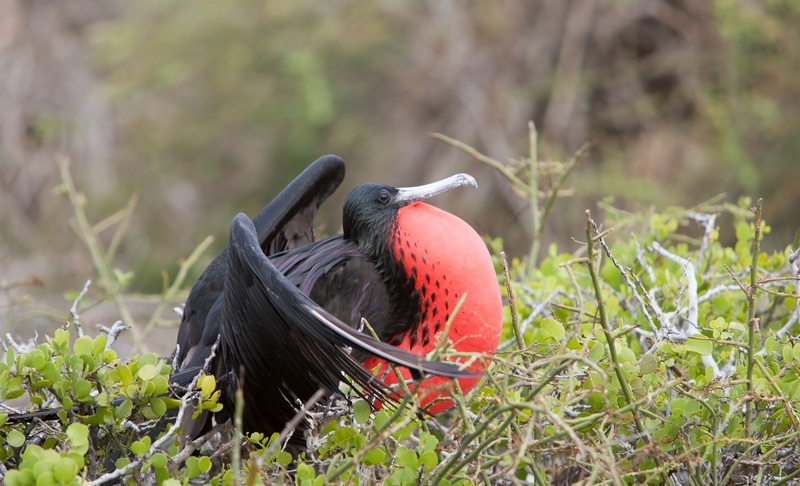 Sight the largest colony of magnificent frigate birds in the Galapagos. 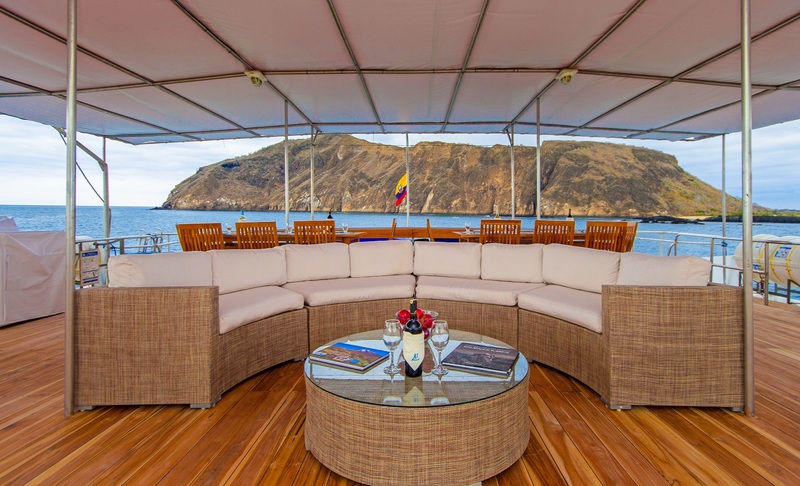 Enjoy a spectacular panoramic view of the Sullivan Bay and the famous Pinnacle Rock. 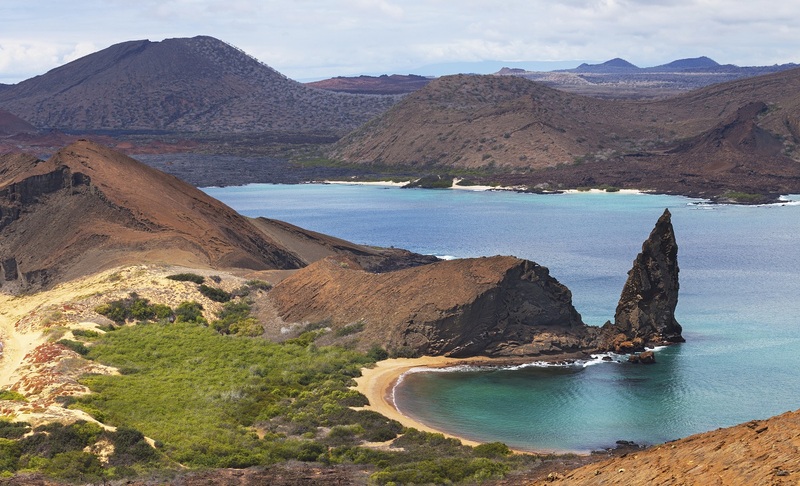 Enjoy a beautiful sunset in one of the most beautiful beaches in Galapagos. Not only because of its historical English name (Tower) Genovesa has a royal touch. 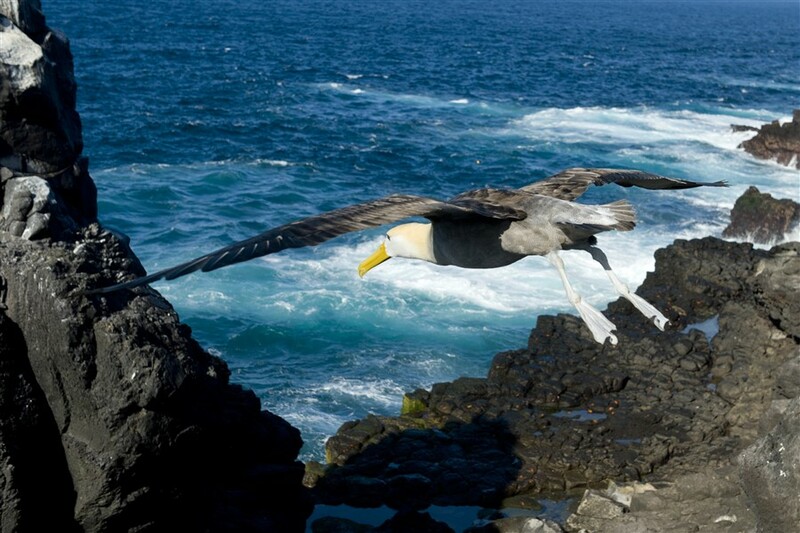 Follow into the footsteps of Prince Philip – Galapagos lover of the first hour – and visit this favourite birding spot with largest breeding colonies of red-footed and Nazca boobies, and look for a remarkable short-eared owl that hunts on foot!. 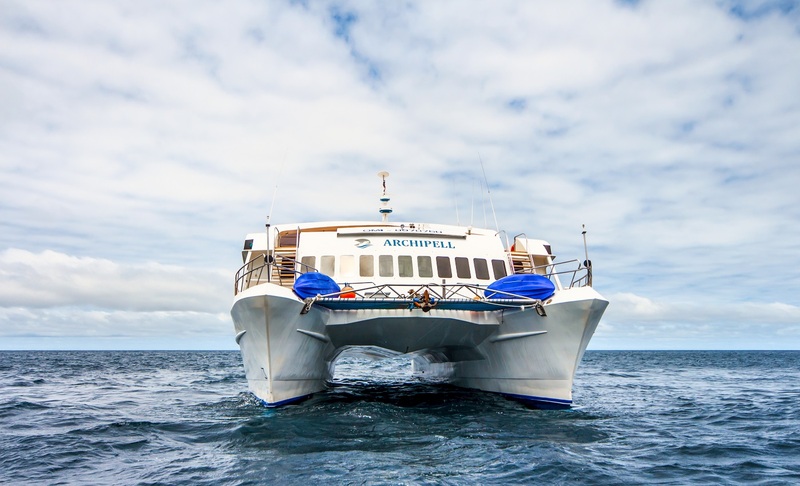 As one of the outer islands and most exclusive places of Galapagos, Genovesa is well worth last night’s longer navigation. This compact site in the heart of its flooded crater shows the extreme varied coastal ecosystems of Galapagos in miniature; nearly too much for a single day. 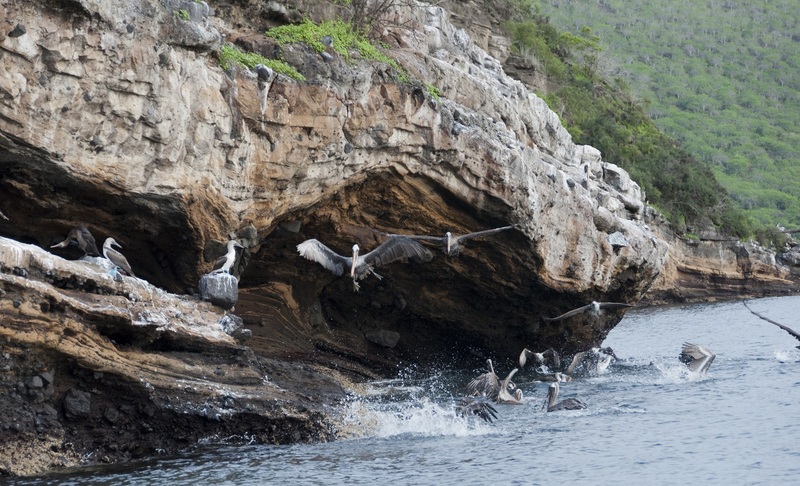 In the afternoon, you will visit Sullivan Bay on the east coast of Santiago. We land on a white coral sand beach and begin our walk over lava that flowed less than 100 years ago. 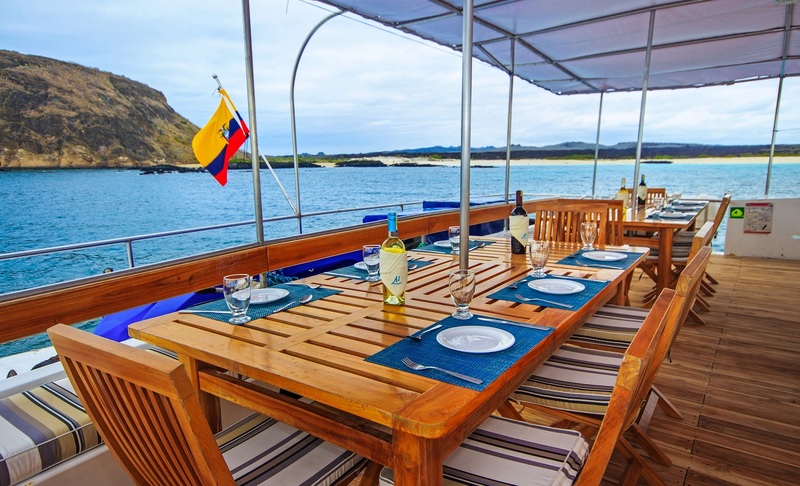 This is the perfect place to see and feel the volcanic origin of Galapagos. In the morning we will visit Charles Darwin Station. 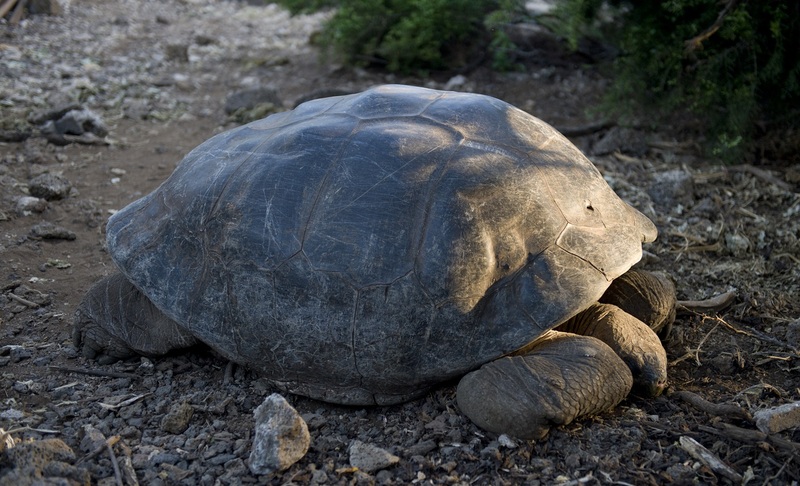 In the tortoise breeding station, you can encounter tortoises of different subspecies, which get prepared for reintroduction to their natural habitats. 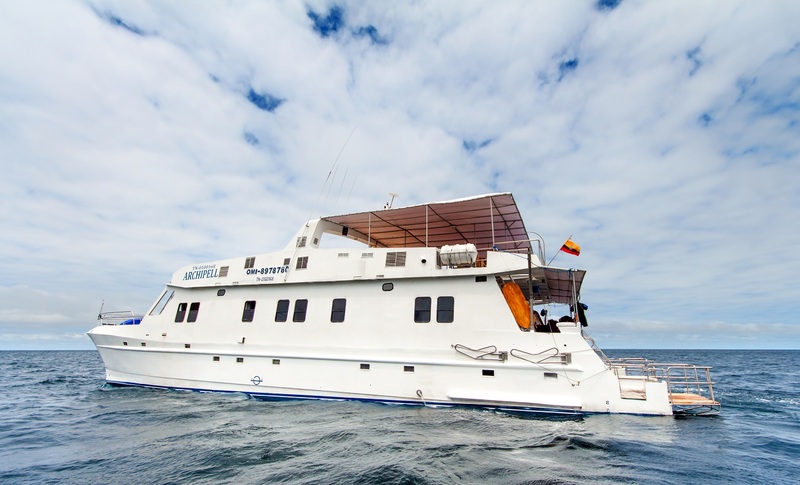 Later, we will transfer you to Baltra airport for your flight to Quito/Guayaquil. 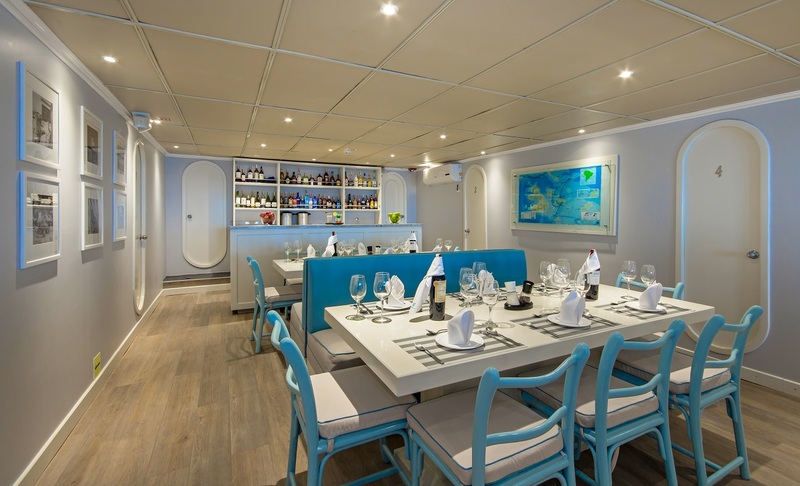 22 Apr 2019 - 25 Apr 2019 $2585 NZD Birthday Offer! One complimentary night's accommodation! 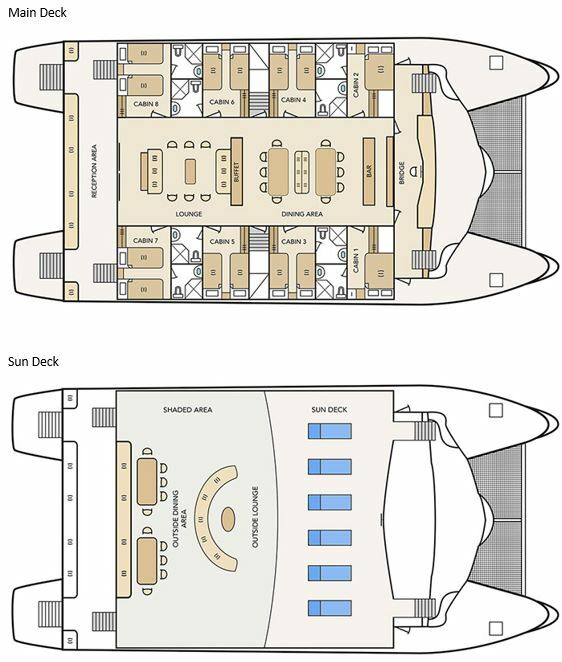 Standard Cabin - Double $2585 NZD Birthday Offer! One complimentary night's accommodation! 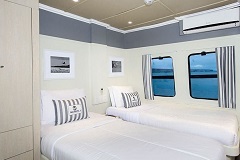 Standard Cabin $2585 NZD Birthday Offer! One complimentary night's accommodation! 06 May 2019 - 09 May 2019 $2585 NZD Birthday Offer! One complimentary night's accommodation! 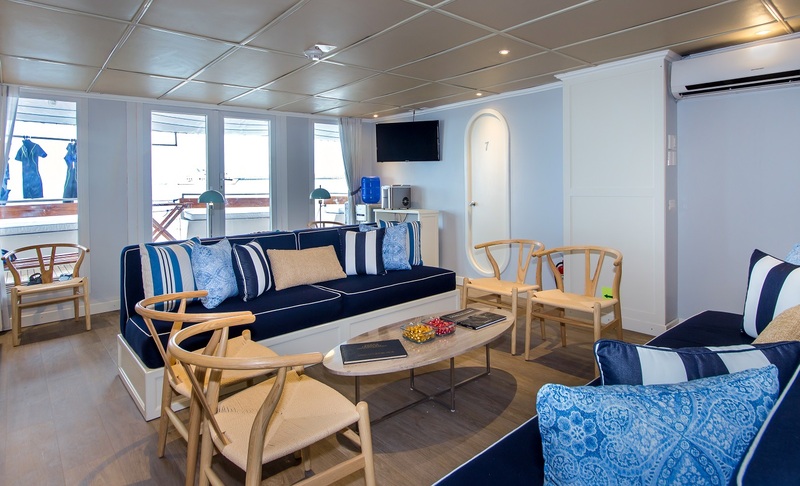 20 May 2019 - 23 May 2019 $2585 NZD Birthday Offer! One complimentary night's accommodation! 03 Jun 2019 - 06 Jun 2019 $2585 NZD Birthday Offer! One complimentary night's accommodation! 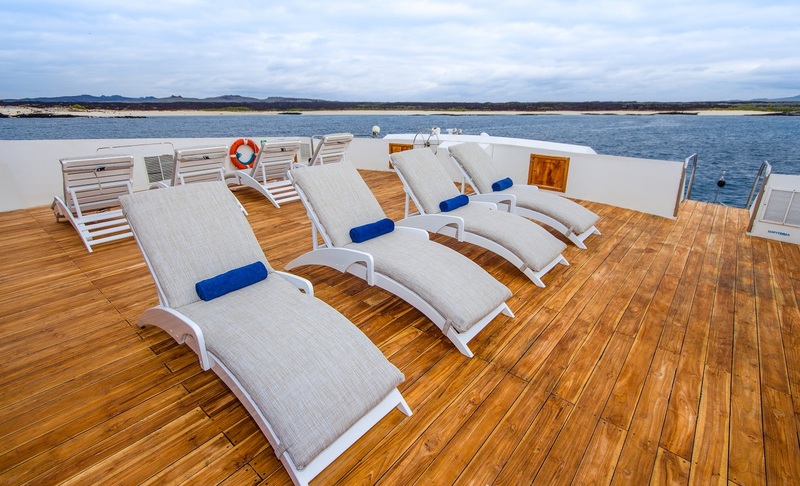 2 cabins with queen bed and 6 cabins with 2 single beds, two sea-view windows, private bathroom, closet & air conditioning.